At the beginning of the year, Blys received an invite to exhibit at Asia’s largest technology conference, RISE 2018. 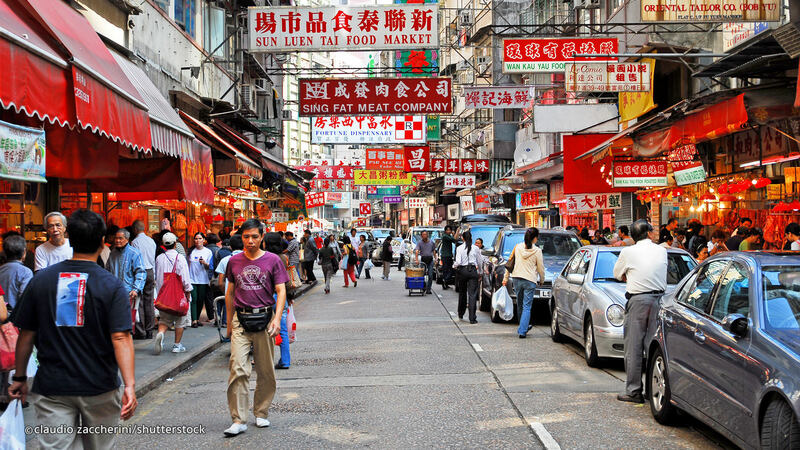 This month, we packed our bags, hopped on a plane and headed to Hong Kong. It was a whirlwind week of meetings, talks, local food and discovering the city. Here are some of the highlights. Technology-driven businesses from around the world gathered at RISE 2018 for three days of talks and networking. The conference is in its sixth year and this year attracted over 53,000 attendees from 164 countries around the world. Exhibitors were organised into three categories: Alpha, Beta and Growth. 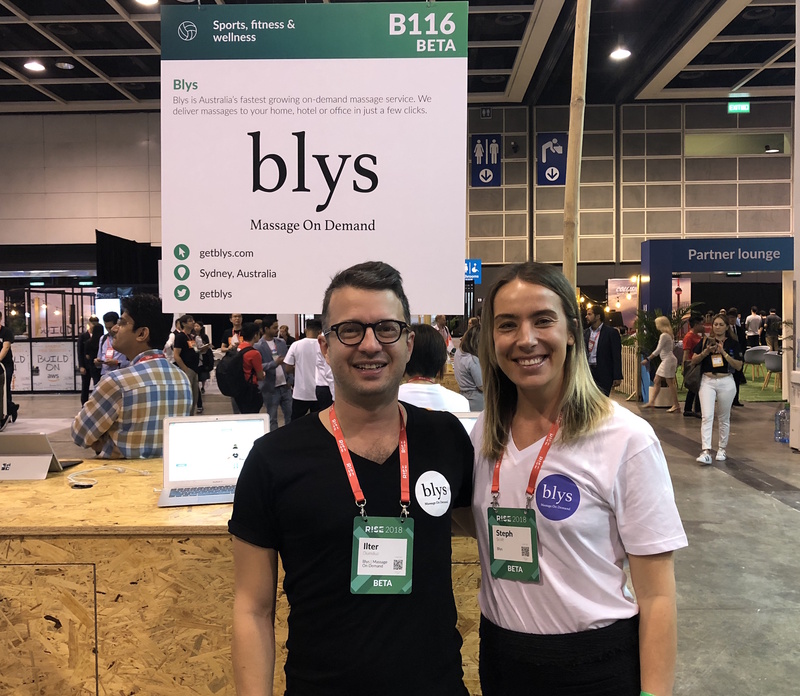 Blys was in the Beta section alongside other startups ranging from a peer to peer fintech in the Philippines to a Virtual Reality (VR) property solution. The exhibitor line-up changed every day – giving startups, investors and delegates an opportunity to meet entrepreneurs and teams that are using technology to solve problems all around the world. Interested in seeing how the Blys technology works? Download the iOS app from the iTunes store for free here. Didi is the world’s leading one-stop mobile transportation platform. They offer app-based mobility options for more than 450 million users. They strive to harness the power of AI technology to help cities solve transportation, employment and environmental challenges. Didi co-founder and CTO, Bob Zhang, discussed how Didi is redefining transportation using AI. Zhang told the RISE 2018 audience that within the next decade, technology will revolutionise the transportation industry in three layers. Zhang provided some fascinating examples of how this shift is already happening across these layers. 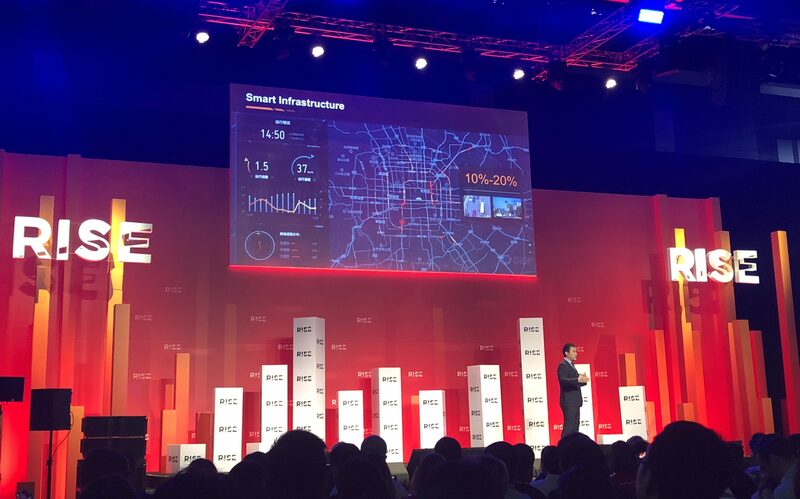 For example, the smart traffic light project is one of Didi’s current programs that is utilising data to improve the capability of traffic light infrastructure in China. Data is being used to predict and adjust traffic lights in real-time. So far, Didi has collaborated with over 20 cities in China and reduced traffic jams by 10-20%. Zhang predicted that vehicles will all move towards electrical and the transition to intelligent driving solutions will dramatically enhance safety. He explained that Didi already has the capability to analyse the route safety when a booking is made and – in the near future – based on this analysis can dispatch either a self-driving vehicle or human driver. Lastly, Zhang emphasises how as technology progresses the relationship between people and vehicles will be redefined. We will continue to see growth in shared mobility across the world. AI for human connection – Tinder V2? Tinder is the dating app that made “swipe right” a household phrase and arguably made online dating cool. 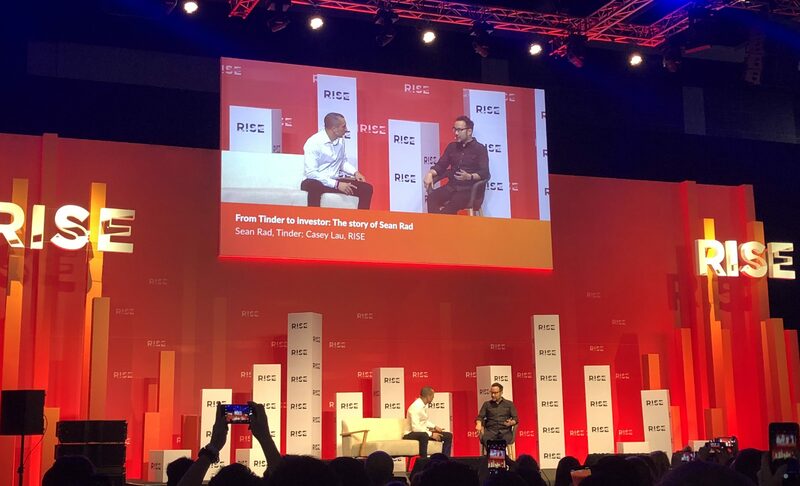 Tinder co-founder turned investor – Sean Rad – spoke at Rise 2018 about his experience creating one of the world’s most popular consumer tech companies. Chatting to RISE 2018 co-host – Casey Lau – Rad went on to highlight the three tech developments that he is most excited about in the next five years and why. One future scenario that Rad has contemplated is AI’s ability to personalise human connection and dating. There might be a moment when AI developments mean that Tinder can easily predict the few people you are interested in, and even do a lot of the legwork in organising a date. Imagine you open Tinder one day and the Tinder assistant says, “You know, Sean, there is a beautiful girl, someone you will find very attractive down the street. You have got a lot of things in common and your common friend is Justin and you are both free Thursday night and there is this great concert that you both want to go to and can I set up a date? And here is a little bit more information about her.” Rad has talked about this topic in more detail in a Forbes interview with Steven Bertoni. An inspiring panel discussion between Brandon Vera (ONE Championships), Mike Massimino (Astronaut and Professor) and Cameron Adams (Canva) highlighted the lessons and advice of these three individuals who have achieved tremendous things in their field. There were two main pieces of advice that stuck. Pressure. How can we keep our cool when the pressure peaks? When asked how they deal with pressure, there was an overwhelming consensus that communication is key! Adams believes that communicating with people is the ultimate way to relieve pressure. Whether it’s his co-founders or wife, he’s found it’s the best way to cope. Pursuing goals. What is their number one piece of advice to growing businesses and entrepreneurs? They emphasised the importance of team and perseverance. Understanding what you’re good at, what you’re not good at and who can help fill those gaps. A good team (whether it’s business, family or a mixture) is like a jigsaw puzzle coming together. Finding that team and finding people that you can trust is essential to any success. Lastly, don’t give up. Things may be difficult but it doesn’t mean it’s impossible. Even if it’s 00000001 of a chance there is still a chance. The only way you make it 0 is if you give up. So if you are pursuing something that you love – get up, dust yourself off and try again and again and again. In between the conference and meetings, there was also time to explore the city. This included trying some of the massage places (tough life right?!) and getting a better understanding of the industry in Hong Kong. If you live in or visit Hong Kong, you have a lot of options for massage. There are massage places scattered along most streets in central Hong Kong Island. The challenge is finding the right one. A lot of locals that we chatted to at RISE 2018 and around the streets suggested that the best way to find a good massage place was through a referral. Whether it’s from a friend or google reviews, research is important when on the hunt for a good (and legit) massage. This was our experience as well. Walking through the streets was a bit hit and miss with the places we found. Some amazing and others not so inviting. Despite the legwork involved in finding a great massage, the industry is definitely booming in Hong Kong and massage is an integral part of many city workers busy routines. There are even (legitimate) places that offer overnight stays after the massage for busy city workers who finish late and don’t have time to travel to and from the massage. Other highlights around the city included shopping for fresh produce in the Wan Chai markets, coffee and wifi at Ninetys, munching on Hong Kong street food for lunch and settling in at Uma Noma for dinner after an afternoon exploring central Soho. Next PostDeep Tissue Massage Vs. Relaxation - What's the difference?